Miss New York, Kira Kazantsev, was crowned Miss America Sunday night marking the third year in a row the winner has hailed from that state. 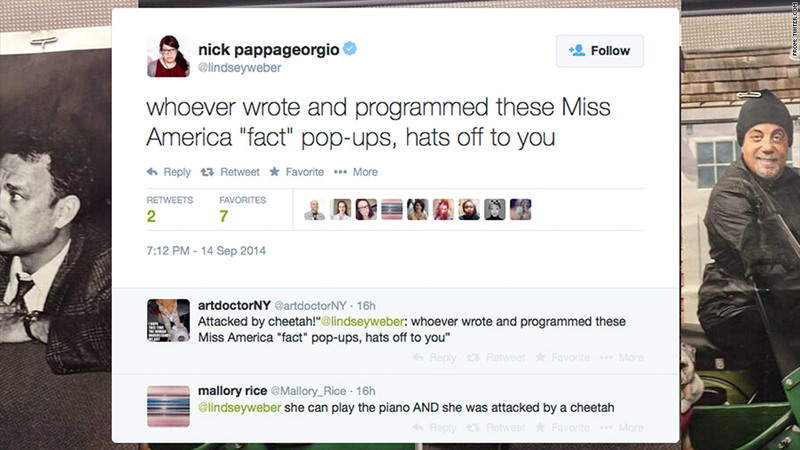 Miss America isn't just being judged by a panel of experts, but also by TV ratings, hashtags and snarky tweets. Kira Kazantsev was crowned Miss America Sunday night, and while the show's television ratings weren't the best, this year's telecast absolutely blew up on Twitter. Still, up against NBC's "Sunday Night Football," the 88th annual beauty pageant only pulled in 6.7 million viewers, a broadcast low. This was a 22% drop from last year. But the show's social performance, over 300,000 tweets and over 48 million Twitter impressions, according to Nielsen, is comparable to other "live event TV" hits. SyFy's "Sharknardo 2: The Second One" and NBC's "The Sound of Music Live," brought in around 68 million Twitter impressions each. One of the ways the ABC broadcast created social buzz was through the use of small fact boxes that would appear in the corner of the screen. Each box gave a fun tidbit or piece of trivia about the life of each Miss America hopeful. The boxes were reminiscent of Vh1's "Pop-Up Video," and gave the pageant some much needed social chatter. 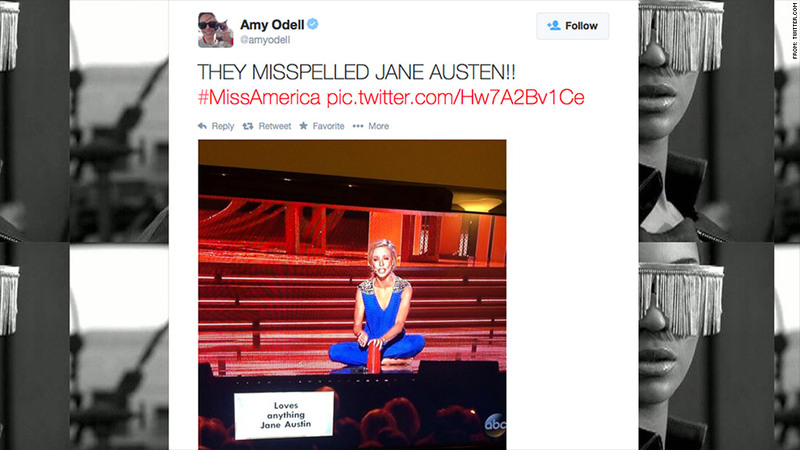 It's very hard to prove a social media lift for live TV, especially considering last night's awful ratings, but Miss America was unquestionably relevant on Twitter. Arguably, it was even more fun to watch along with the Twitter chatter. During the broadcast, New York Times media and culture columnist David Carr posted a tweet saying, "Am amazed at Twitter's ability to build a campfire around anything and start snarking/smiling/smartalecking #MissAmerica #HighLoWorld." Carr has a point. Twitter can be a snarky place, but looking at how well the show plays there, Miss America would be smart to embrace social media more, because if ratings continue to tumble, it may be one of the pageant's few saving graces.